Some time ago in this blog I made a claim to the effect that theistic philosophers of religion have produced a remarkable number of really bad arguments, arguments so bad in fact, that one must sometimes question the arguer’s intellectual honesty (“The Problem of Evil”, May 22, 2009). I do not wish to retract this provocation. Instead, I wish to give another example to prove my point. I just finished reading a book by Jeff Jordan entitled Pascal’s Wager: Pragmatic Arguments and Belief in God (Oxford: Clarendon Press, 2006). Jordan is Professor of Philosophy at the University of Delaware. Now, since I am about to say some unkind things about Professor Jordan’s book, it is only fair to admit that despite its flaws, I quite enjoyed reading it. It's packed full of stimulating and ingenious arguments, and it is the best single overview I know of that deals with Pascal’s famous “wager” argument in support of theistic belief. Before proceeding any further, I suppose I should explain the nature of Pascal’s Wager. It is a philosophical argument famously proposed by the seventeenth-century French mathematician and thinker Blaise Pascal. It purports to demonstrate the rationality of believing in God, even on the assumption that we have no evidence one way or another of God’s existence. This last part is important, for it seems to violate the traditional stricture that belief should always be tailored to evidence. There are quite a few variants of Pascal’s Wager, so I will give a highly simplified version of it. It goes something like this: Let us assume that we have no evidence one way or another of God’s existence. Nonetheless, if He exists and we believe in Him, we stand to gain an infinite reward. On the other hand, if we believe and He doesn’t exist, we sacrifice very little (indeed, Pascal claimed that we would be gainers even here, because of the positive influence of religion in our worldly lives). If we do not become believers and He doesn’t exist, we neither gain nor lose (excluding whatever meagre rewards accrue to worldly sinners). If we do not become believers and He does exist, we will be subject to infinite punishment. This latter point is unnecessary, for the argument can work quite well without the prospect of Hell: we need only compare the “swamping value” of the infinite heavenly payoff with the relatively neutral expected utility of the other possible outcomes, to see that it is — at least according to Pascal and company — a good gamble to wager on God's existence. Obviously, we cannot just make ourselves believe something we do not currently believe, and for which there is no evidence. 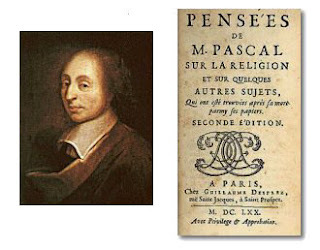 However, Pascal contended, with some justification, that by going through the motions — incense and holy water and all that — one could come to believe. There are many possible objections to the Wager, and Jordan’s book is fairly comprehensive in dealing with them. There is one, however, Jordan’s treatment of which illustrates the sort of intellectual trickery that theists seem all too apt to engage in. It is called the objection of “Many Gods” (let’s call it OMG for short). In the normal Wager, we bet on either of two possible states: either God exists, or He doesn’t. According to OMG, we can add the possibilities that any number of other kinds of gods exist besides the usual Judeo-Christian one. For example, we might posit the existence of a sort of Nietzschean god who punishes all and only those who worship a deity and rewards those strong-willed enough not to need divine support. In other words, he has contempt for the sort of mortal slaves weak enough to have need of a god. Such a deity would undermine the traditional Wager, because if we wager on the traditional God, we are now faced with the prospect of coming out big losers. Furthermore, because we could invent as many gods with as many qualities as we care to, the prior probability of the traditional God’s existence (in the absence of any evidence one way or the other) shrinks from 0.5 in the traditional Wager, to some infinitesimal probability equal to the probability that any one of the numberless other gods we care to invent exists. How does Jordan deal with OMG? Very underhandedly, I’m afraid. Remember that in the traditional Wager we’re supposed to bet in the absence of any evidence one way or the other that God exists. Now Jordan tells us we needn’t consider the many invented gods, because the probability of their existence is vanishingly small compared to the probability that the traditional God exists. Really? Based upon what evidence? How can he assign such probabilities? Jordan has reduced himself to the intellectual trickery of assuming a greater probability that the Judeo-Christian God exists. But if we could have assumed this all along, then we wouldn’t need Pascal’s Wager in the first place, would we? I can’t tell you the number of times I’ve seen theistic philosophers of religion resort to this move — assuming the existence of that (God) which they were supposedly demonstrating. In the words of Cicero, sed nescio quo modo nihil tam absurde dici potest quod non dicatur ab aliquot philosophorum, “somehow or other no statement is too absurd for some philosophers to make” (Cicero, De Divinatione, 2.119). Old time religion can make people say and do some pretty dumb things, and it seems logically-trained philosophers are not immune to this effect.